All time AFL games record holder Brent Harvey will pull on the blue and white for one last time in Launceston next year. But it won’t be in the Round 21 clash between the Roos and the Hawks. 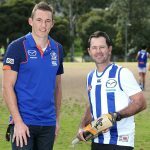 Instead Harvey will line up for North Melbourne in Ricky Ponting’s Biggest Game of Cricket between against Hawthorn, under lights at the University of Tasmania Stadium on Friday 27 January 2017. “I didn’t hesitate to say yes when Ricky rang me to see if I would play,” Harvey said yesterday. 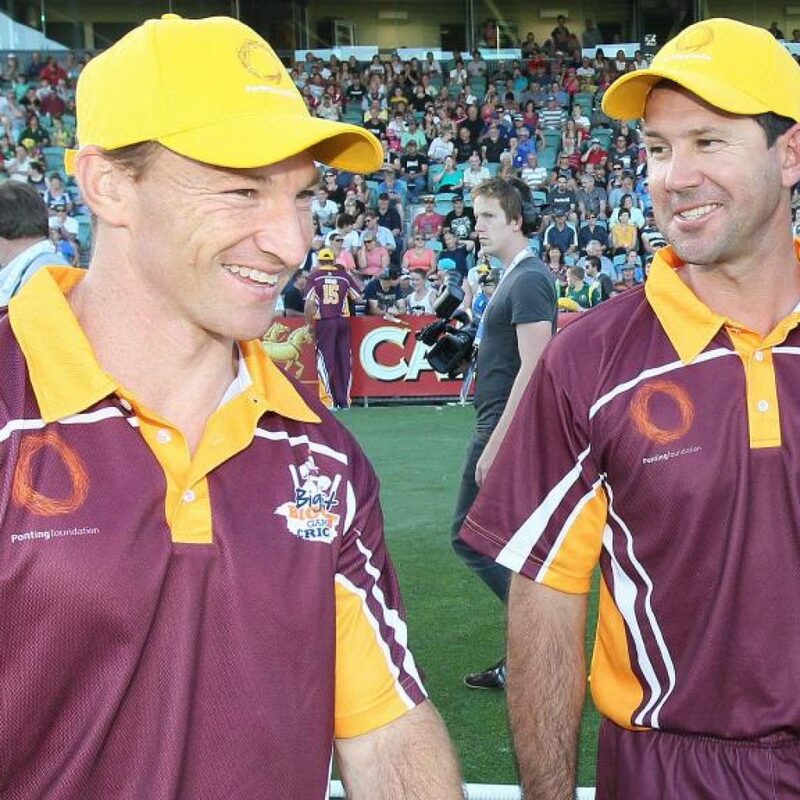 “I was so lucky to play in Ricky’s Tribute game back in 2014 and was on his team. Will be great to play under him again as our Roos take on the Hawks. “I’m looking forward to getting some serious practice in the backyard with the family this summer and getting ready for the big game,” Harvey added. The North squad boasts plenty of fire power headlined by Shinboner of the century, Glenn Archer, local Tasmanian hero, Ben Brown, teenage cricket sensation turned AFL star Jamie Macmillan and Australian test fast bowler and fanatical Roos supporter, Peter Siddle. “I reckon we have a squad capable of dominating the Hawks,” said captain Ricky Ponting who is really looking forward to the game. “I’m really excited about the group we have put together. Five premiership players from the nineties, a couple of below the radar T20 cricket superstars and a bunch of current players with the right qualities to win this game,” Ponting added. The chat down at Arden Street is that assistant coach Jarred Moore could be the star of the game. He is a power hitter who Ponting has great faith in following the recent loss of Drew Petrie to the West Coast Eagles. But the real game breaker in the North squad is Peter Siddle. He has made himself available for the game subject to his Melbourne Renegades commitments. The Roos/Hawks game is on the eve of the BBL final meaning he would be a late withdrawal if the Renegades made the final. “I’m a professional cricketer so the Renegades will obviously be my priority,” Siddle said. “But to have the chance to wear the blue and white, play with Ricky again and line up beside my real sporting heroes; will be a dream come true for me. “The Roos and Hawks have played some real cliffhanger games over the journey and I reckon this game will be another cracker,” Siddle added. Tickets continue to sell fast in the lead up to Christmas. They may be purchased from www.ticketmaster.com.au or direct from Ticketmaster outlets.